Dr. Kevin Schully, contractor and chief science officer with Naval Medical Research Center’s (NMRC) Austere environments Consortium for Enhanced Sepsis Outcomes Department (ACESO) recently returned stateside after screening Sailors and Marines deployed to Darwin, Australia, who are at risk of developing melioidosis. Melioidosis, also called Whitmore’s disease, is an infectious disease that can infect humans or animals, caused by the bacterium Burkholderia pseudomallei (B. pseudomallei). While in Darwin, Schully used a tool he developed with colleagues to continuously screen U.S. forces serving in B. pseudomallei endemic areas. 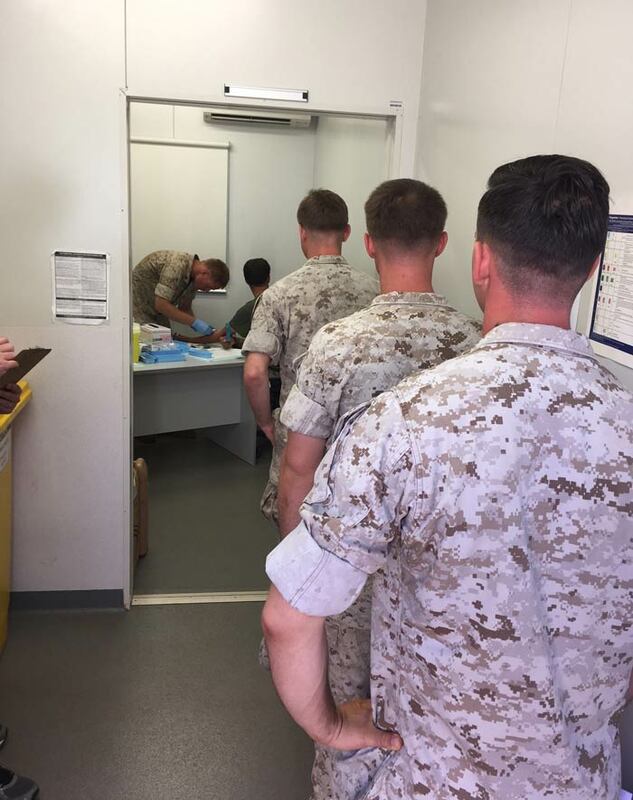 He asked volunteers to fill out a brief questionnaire and give blood samples at the beginning of their deployment, mid-deployment, and again post-deployment. Each time, samples were screened for serological evidence of infection and then compared to the questionnaire responses to identify potential risk factors. As principal investigator of the study Schully collaborated with researchers and staff from NMRC, the Menzies School of Health Research in Darwin, and The University of Nevada, Reno. He chose Darwin because it is a hyper-endemic area for B. pseudomallei. Because of its environmental habit, high probability of infection, and route of infection, melioidosis poses a significant danger to military forces deployed to such areas. He conducted the first phase of the study in 2017 with slightly more than 300 Sailors and Marines participating. This year, another 300 volunteers have agreed to participate, though additional enrollments are expected after their unit’s return to their home base. There are also plans to conduct a final phase of the study in 2019. “Our aim is to develop rapid and reliable diagnostic methods, as well as to find ways to reduce the risk of melioidosis in deployed service members,” Maves said. Because of Schully’s findings, the U.S. Indo-Pacific Command (PACOM) has requested that the same forces serving in Darwin be screened for the mosquito-borne Ross River Virus, and Naval Medical Research Center Asia is using the study to provide additional surveillance of diseases endemic to Australia and the risks they present to the servicemembers. Source: Naval Medical Research Center, edited.